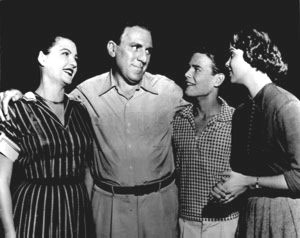 One of the earliest TV show I can remember and we never missed an episode and I just loved William Bendix but do not remember the others! Reminds me of the saying Ollie always said to Stan, This is another fine mess you got me into! "What a revoltin' predicament this is," was Riley's catchphrase.